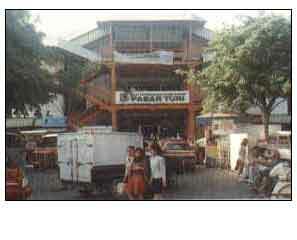 Is a middle to lower class and shopping center, it has four floor and a wide parking area and located near Tugu Pahlawan (Heroes Statue) Central Surabaya. There are kinds of home needs, material, grocery, fashion (clothes), electronics, ceramics, bikes, wood working tools, workshop tools, arts (wood carving) etc, which can be bought retail or shop price. It also has a wide show room.